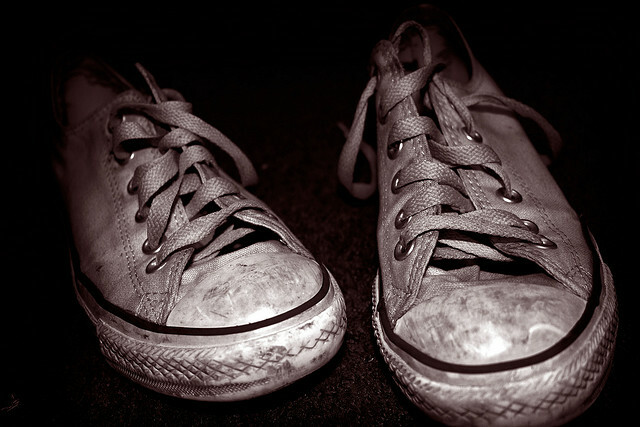 Most of us are familiar with the sayings, “walk a mile in someone else’s shoes” and “big shoes to fill.” The idea of walking a mile in someone else’s shoes urges us to develop understanding for another person’s perspective, while having big shoes to fill refers to the expectation that we live up to a standard set by another. Both convey noble messages – about wearing other people’s shoes. But how often do we relate these important concepts to our own lives? Isn’t it also important to understand our own perspectives and to set our own standards? According to self-determination theory, it is. Autonomy, the need for self-direction, is considered a basic psychological need. It refers to the need to define and express our interests, preferences, wants, and beliefs, as well as having a sense of choice in the overall direction of our lives. When this need is fulfilled, we become more motivated to develop our potentials than if our goals were set by other people. For this reason, it is important to surround ourselves with people who are understanding and supportive of our need for self-direction. An environment that encourages self-direction motivates us toward personal development,which opens the gate for exploration. Although others may be able to recognize our outwardly expressed traits and talents, it is difficult for them to truly know our inner (and sometimes hidden) desires and ambitions. Therefore, no one else is in a better position to direct our lives because WE are the ones who know ourselves best. Even when an inner capability is hidden from ourselves, self-directed exploration is more likely to help us to discover it. As we explore and develop our inborn capabilities, we become skilled in them. As we become more skilled, we increase our sense of competence (also a basic need), which in turn allows us to be more autonomous. In other words, the more autonomous we feel, the more competent we can become – and the more competent we become, the more autonomous we feel. If we apply the theory to our lives directly, it means that we can walk farther in our own shoes than we ever could in the shoes of someone else. Therefore, instead of passively accepting a direction that is handed to us, we should strive to actively set our own direction. And when others offer opinions and suggestions regarding our lives, we should first consider how they fit in with our own goals. Also, we should consider this basic fact about shoes: The more you wear them, the more broken-in and comfortable they become. I think it’s worth the effort to invest time in walking a few miles and becoming comfortable in our OWN shoes. How self-directed do you feel in your life? Do you believe that lack of self-direction affects your personal growth?